As part of the 400 series, LTD’s EC-401 is built to last and perform for even the most demanding professional musician, and features EMG 81/60 active pickups. The EC-401 is ready to handle any kind of music where guitar gets pushed to the forefront. 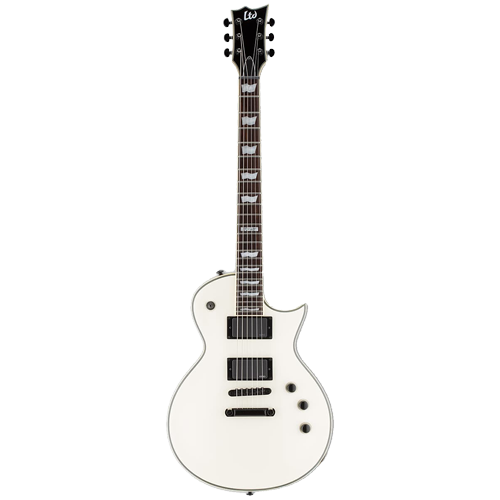 It has a set-neck design for comfortable, fast access to the higher frets, and a mahogany body, 3 pc. mahogany neck, and rosewood fingerboard. It also includes high-quality Grover tuners, and is available in four great finishes: Black, Olympic White, Vintage Black, and Charcoal Satin.